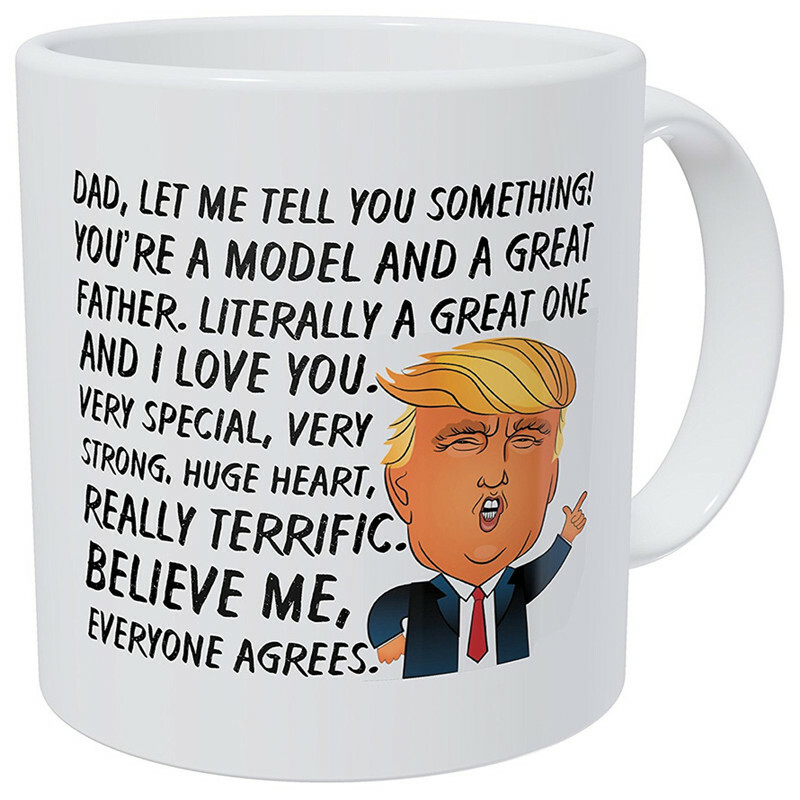 Dad, You’re A Great Model, Father’s Day, Very Special, Strong, Huge Heart, Donald Trump, 11 Ounces Funny Coffee Mug. Personalise this mug with your decision of content. The plan appeared in the picture is imprinted on the two sides of the mug except if determined Alternatively, you can supplant the structure on one side of the mug with your very own modified content. MUG SPECIFICATIONS Our fired mugs are 100% dishwasher safe at temperatures up to 45°C. In any case, hand washing is encouraged to keep the mug putting its best self forward. Estimate: 80mm distance across x approx 95mm high Weight: 330g Mugs are bundled in a polystyrene mug mailer and external cardboard box for additional insurance.